Business Benefits Group - What Is Errors and Omissions Business Insurance? What Is Errors and Omissions Business Insurance? Errors and omissions insurance, also known as professional liability insurance, provides professionals with protection from claims of negligence or defects in products or services. Most business owners are familiar with business liability insurance which covers losses related to property damage, bodily injury, or forms of advertising injury. However, business liability insurance does not cover all types of situations. Who is responsible for the damages if a roofing repair fails and causes irreversible water damage to a home? What happens if a t-shirt printing company accidentally misspells a word on a large order of custom tees? Issues such as these can generally be resolved with errors and omissions (E&O) insurance. As the name implies, errors and omissions insurance covers professional mistakes, as well as things you may overlook (omissions). If you make an error that impacts a customer and they decide to sue, an E&O insurance policy may help you pay for legal expenses. Statistics show 1 in 7 professionals will be involved in an errors and omissions lawsuit, and the bulk of these claims involve allegations of negligence or misrepresentation. Without the proper insurance, you could be looking at a hefty fine. With E&O insurance, you can have peace of mind knowing that your company is protected against a variety of claims. Most commonly, E&O insurance will protect against customer claims that you provided a service that resulted in financial harm due to mistakes or because you failed to perform a service. Insurance will cover the cost of defending your business in a civil lawsuit and potential damaged awarded. Remember that this type of insurance is not part of your homeowner’s insurance or general liability insurance. You will need to purchase it separate if you wish to have extra protection. It is also important to note that E&O insurance coverage does not include criminal prosecution. Some liabilities under civil laws may also not be covered depending on the individual policy. Most policies will cover claims relating to misrepresentation, negligence, and violation of good faith and fair dealing. Some insurance policies may also cover violations of privacy. 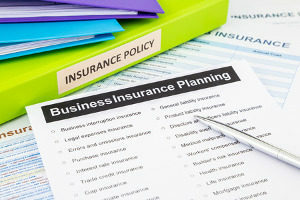 If you are considering purchasing errors and omissions business insurance, you will want to thoroughly review the different policies available to find one that meets your needs. Policies can be found at all price points and may cover a few select scenarios or a full range of errors and omissions. 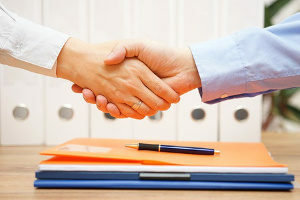 Professionals in a wide range of business sectors can benefit from purchasing errors and omissions business insurance. Some of the most common service industries that utilize this insurance include architecture, software development, engineering, law, insurance, medicine, and accounting. It is also fairly common among realtors, financial planners, trustees, veterinarians, appraisers, barbers, beauticians, morticians, and benefit plan administers. In short, if a client is paying for your expertise, it is a wise idea to have E&O insurance to protect your business in the event of a slip up. Most companies have carefully planned risk management practices in place. These practices can help business owners anticipate and prevent most potential issues before they become major problems. However, everyone makes mistakes. Without E&O to protect your interests, you are taking a serious financial risk. You are also risking your reputation which could result in loss contracts. The best time to purchase E&O business insurance is before the risk is taken. 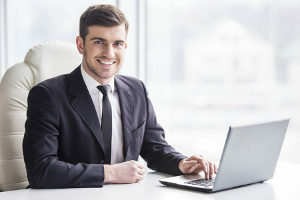 In addition to providing business owners with protection, having this type of business insurance can provide your clients with peace of mind. What Does E&O Insurance Not Cover? While errors and omissions business insurance covers a wide range of situations, there are some areas that it does not protect. E&O insurance does not protect business owners who engage in intentionally dishonest, malicious, or illegal acts. The insurance also does not cover damaged property or bodily harm. Instead, these areas are covered by general liability insurance. Also note that E&O insurance does not cover litigation from another injured person who may be on your insurance policy. Instead, this situation may be covered by directors and officers insurance, or D&O. Other items that are generally not covered by this insurance include false advertising, parents and trade secrets, workers’ compensation claims, and employers’ liability claims such as child molestation or sexual harassment. While these areas may not be covered by errors and omissions insurance, it is still a good idea to maintain an E&O insurance policy to protect against other scenarios. Today, business owners operate in an environment that is constantly leaving them liable for allegations from unsatisfied clients. Errors and omissions business insurance is one of the easiest ways to protect yourself from those who feel that they have been harmed by the actions or inactions of your company. With E&O insurance there to protect your best interests, you will not be left with significant financial obligations that could potentially jeopardize the future of your business. Instead, you can learn from your mistake and move forward from the situation. Business Benefits Group (BBG) in Fairfax, VA provides business owners with solutions to a wide range of professional problems. Rely on BBG’s experts to help you avoid fines and other monetary damages that you could be facing as a result of an error or omission. Human errors can be costly, but with errors and omissions business insurance to back you up, you do not have to worry that you are going to lose your livelihood in the event of a defect in your product or service. To learn more about E&O insurance or to discuss your insurance needs, contact the professionals at BBG.